We are happy to welcome new short films in our catalogue; animations Story and Good Intentions as well as live action shorts Chuchotage and All These Creatures. Story by Jola Bańkowska will premiere in Generation section of Berlinale. It is a reflection on modern man in an age of omnipresent technology. It’s produced by Munk Studio and co-produced by Letko. Chuchotage directed Barnabás Tóth is set during a professional conference in Prague, where two simultaneous interpreters in the Hungarian booth realize that only one person is listening to them. The film was shortlisted for Academy Awards in Best Live Action Short Film, from the producers behind Son of Saul. 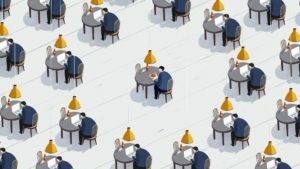 Good Intentions is a short animation directed by Anna Mantzaris. After a young woman is responsible for a hit and run, strange and spooky things starts to happen… A small thriller about people that are not always the best at making decisions. 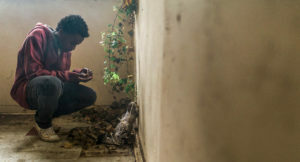 All These Creatures is this year’s Cannes Palme d’Or winner, directed by Charles Williams. An adolescent boy attempts to untangle his memories of a mysterious plague, the unravelling of his father, and the little creatures inside us all.